It happens more and more often that we are receiving diametrically opposite requests regarding the features which should be present in NeatMouse. We have managed to cope with this for a while, but it’s true that rejecting some of the propositions prevents NeatMouse from evolving in some interesting directions. Today we’re releasing NeatMouse to the open source world, hoping that software enthusiasts can benefit from it and give life to their own ideas. 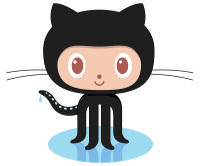 The complete source code is released under Microsoft Public License and is available on GitHub. We will still keep on maintaining the releases published on our website, but everyone is welcome to fork and/or contribute.